Feline lower urinary tract diseases are known to be life threatening conditions in cats, especially when they occur as obstructive diseases in males. Early diagnosis and treatment is necessary, otherwise it may lead to death. A 3-year-old male Persian cat was referred to the clinic with a history of anuria, lethargy, loss of appetite and exploratory cystotomy 6 months ago due to urethral obstruction following urolithiasis. Urinary bladder was enlarged and painful on palpation and urine accumulation was observed in ultrasonography. Biochemical and hematological analyses revealed hypocalcemia, hyperphosphatemia and hyperkalemia and increase in blood urea nitrogen, creatinine, white blood cell (WBC), red blood cell (RBC) and hematocrit. Urine analysis showed a turbid appearance, protein 1+, blood 3+, pH reduction, increased WBCs and RBCs and presence of bacteria, calcium oxalate crystals and epithelial cells. Urine culture reveled Staphylococcus saprophyticus. Postoperatively, microscopic examinations of the urinary bladder biopsy showed pathological lesions of bacterial cystitis. Based on these findings, bacterial cystitis and urethral obstruction due to post-operative urinary tract infections were diagnosed. For treatment, electrolyte imbalances were corrected firstly, cystotomy was performed and a catheter was conducted into the urethra; then, urethra was flushed and obstruction was resolved. Ampicillin was effective in reducing the bacterial count in urine. Despite the fact that cystotomy is a common procedure in veterinary medicine, clinicians should be aware of its complications such as post-operative urinary tract infections. Srivastava AK, Syed B. Management of urinary tract infection in cats. Indian J Canine Pract 2012; 4: 94-95. Malouin A. Urologic Emergencies. In: Drobatz KJ, Costello MF (Eds). Feline emergency and critical care medicine. 1st ed. Ames, USA: Wiley-Blackwell, 2010: 282-283. Buffington CA, Chew DJ, Kendall MS, et al. Clinical evaluation of cats with nonobstructive urinary tract diseases. J Am Vet Med Assoc 1997; 210(1): 46-50. Bailiff NL, Westropp JL, Nelson RW, et al. Evaluation of urine specific gravity and urine sediment as risk factors for urinary tract infections in cats. J Am Vet Med Assoc 2008; 37(3): 317-322. Bailiff NL, Nelson RW, Feldman EC, et al. Frequency and risk factors for urinary tract infection in cats with diabetes mellitus. J Vet Intern Med 2006; 20: 850-855. Mayer-Roenne B, Goldstein RE, Erb HN. Urinary tract infections in cats with hyperthyroidism, diabetes mellitus and chronic kidney disease. J Feline Med Surg 2007; 9: 124-132. Polzin DJ, Osborne CA, Bartges JW. Management of postrenal azotemia. Vet Clin North Am: Small Anim Pract 1996; 26(3): 507-513. Bartges JW, Finco DR, Polzin DJ. Pathophysiology of urethral obstruction. Vet Clin North Am: Small Anim Pract 1996; 26(2): 255-264. Lee JA, Drobatz KJ. 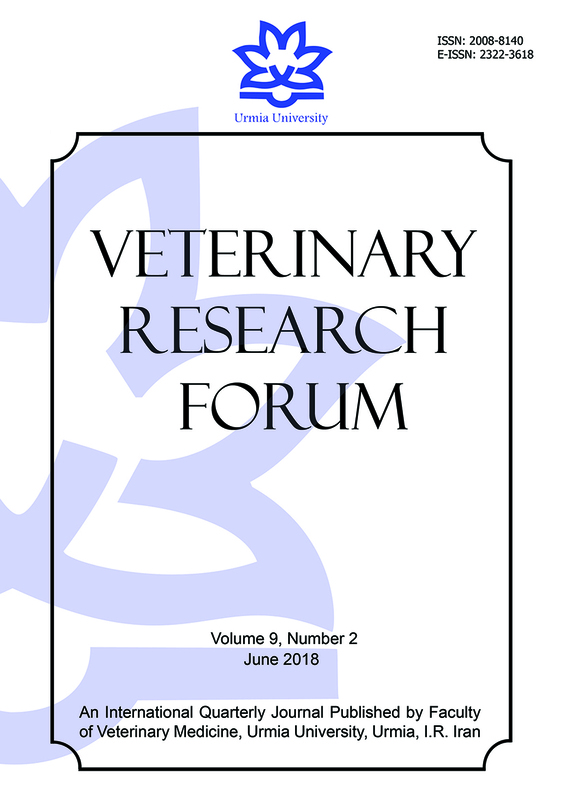 Characterization of the clinical characteristics, electrolytes, acid- base, and renal parameters in male cats with urethral obstruction. J Ve Emerg and Crit Care 2003; 13(4): 227-233. Drobatz KJ, Hughes D. Concentration of ionized calcium in plasma from cats with urethral obstruction. J Am Vet Med Assoc 1997; 211(11): 1392-1395. Lekcharoensuk C, Osborne CA, Lulich JP. Epidemiologic study of risk factors for lower urinary tract diseases in cats. J Am Vet Med Assoc 2001; 218: 1429-1435. Litster A, Moss SM, Honnery M, et al. Prevalence of bacterial species in cats with clinical signs of lower urinary tract disease: Recognition of Staphylococcus felis as a possible feline urinary tract pathogen. Vet Microbiol 2007; 121: 182-188. Litster A, Thompson M, Moss S, et al. Feline bacterial urinary tract infections: An update on an evolving clinical problem. Vet J 2011; 187: 18-22. Eggertsdóttir AV, Lund HS, Krontveit R, et al. Bacteriuria in cats with feline lower urinary tract disease: a clinical study of 134 cases in Norway. J Feline Med Surg 2007; 9: 458-465. Dokuzeylül B, Kahraman BB, Bayrakal A, et al. Bacterial species isolated from cats with lower urinary tract infection and their susceptibilities to cefovecin. Irish Vet J 2015; 68: 2. Gunn-Moore DA. Feline lower urinary tract disease.J Feline Med Surg2003; 5: 133-138. Neuhaus J, Schwalenberg T, Horn LC, et al. New aspects in the differential diagnosis and therapy of bladder pain syndrome/interstitial cystitis. Adv Urol 2011; 2011:639479. doi: 10.1155/2011/639479. Appel S, Otto SJ, Weese JS. Cystotomy practices and complications among general small animal practitioners in Ontario, Canada. Can Vet J 2012; 53(3): 303-310. Berent AC. Ureteral obstructions in dogs and cats: A review of traditional and new interventional diagnostic and therapeutic options. J Vet Emerg Crit Care 2011; 21(2): 86-103. Goh CSS, Seim HB. Feline perineal urethrostomy ventral approach. Today’s Vet Pract 2014, 4: 43-49. Ruda L, Heiene R. Short- and long-term outcome after perineal urethrostomy in 86 cats with feline lower urinary tract disease.J Small Anim Pract2012; 53: 693-698. Bass M, Howard J, Gerber B, et al. Retrospective study of indications for and outcome of perineal urethrostomy in cats.J Small Anim Pract2005; 46: 227-231. Gupta K, Hooton TM, Naber KG, et al. International clinical practice guidelines for the treatment of acute uncomplicated cystitis and pyelonephritis in women: A 2010 update by the Infectious Diseases Society of America and the European Society for Microbiology and Infectious Diseases. Clin Infect Dis 2011; 52(5): e103-120. Wagenlehner FM, Schmiemann G, Hoyme U, et al. National S3 guideline on uncomplicated urinary tract infection: Recommendations for treatment and management of uncomplicated community-acquired bacterial urinary tract infections in adult patients. Urologe A 2011; 50(2): 153-169.